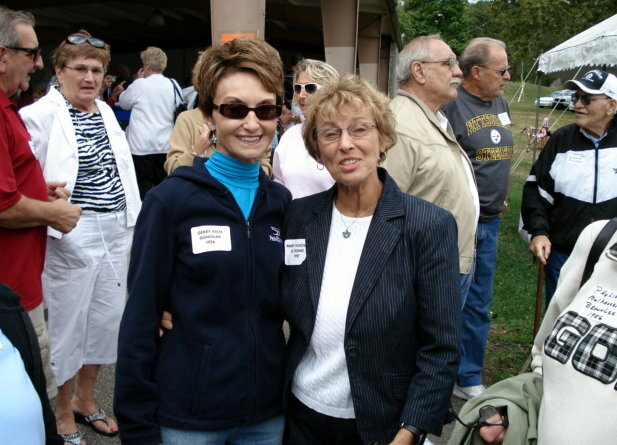 No.11, Barb Terzich, Dee Martin (CHS'60), Barbara Stock, ?. 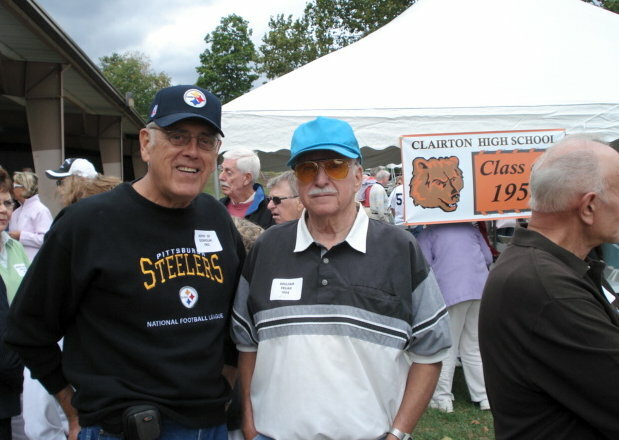 No.12, Bill Wilson (CHS'54 - in light orange striped jersey), Frank Triglia (CHS'55), Earl Decima (CHS'53), Wm. (Levi) Truax. 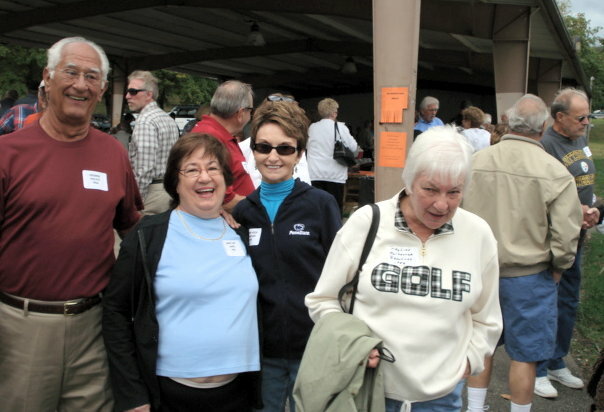 No.13, Anna Marie Filowat Wilson (CHS'56), Grace Grueso Bindas (CHS'61), Grace's husband John Bindas (CHS'59), Claudia DiIenno Patrick (CHS'63). 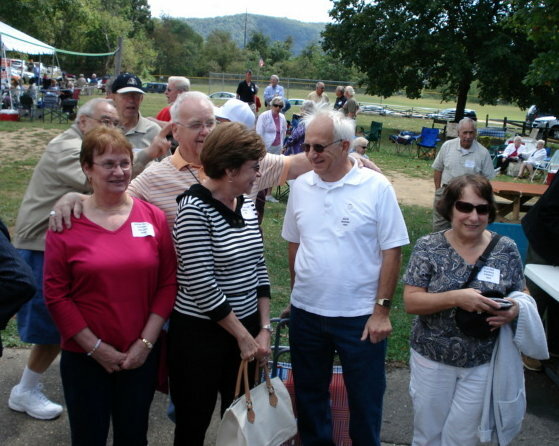 Behind all with his arms around the group is Bill Wilson (CHS'54). No.14, J.D. 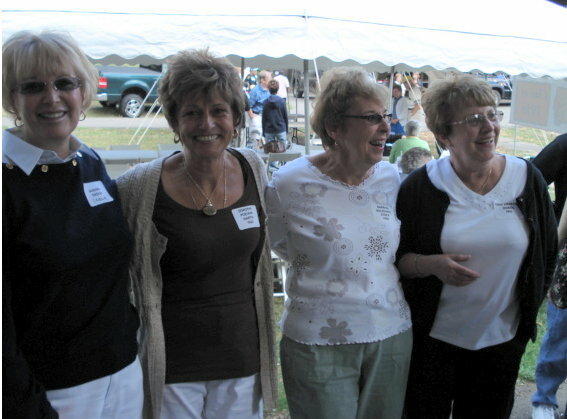 Gomolak (CHS'53), Wm. (Levi) Truax (CHS'54). 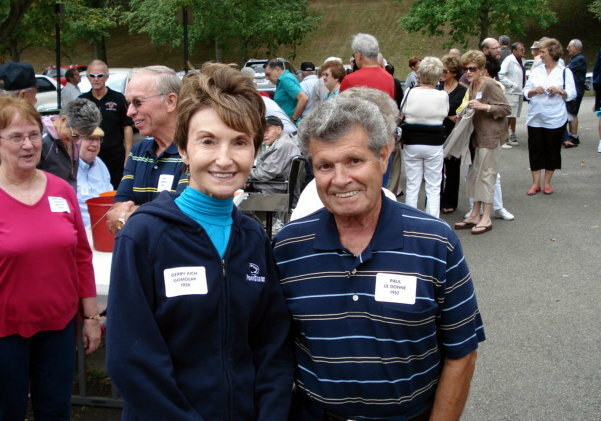 No.15, Anna Marie Filowat Wilson (CHS'56), Gerry Kich Gomolak (CHS'56), Paul LeDonne (CHS'52). 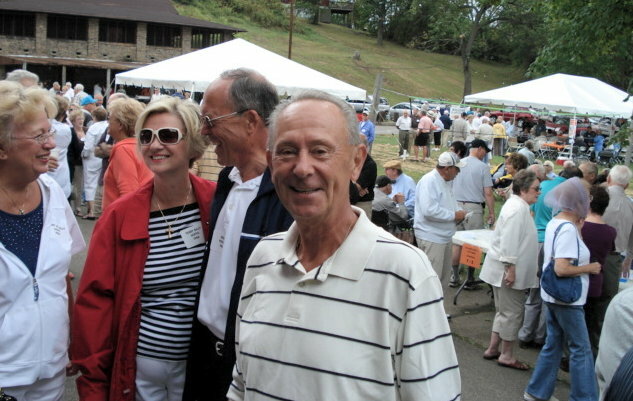 No.16, George Pacich (CHS'54), Janie Catt James (CHS'56), Gerry Kich Gomolak (CHS'56), ?. No.17, Tony "Pickles" Lotto (CHS'56), Liz Ruffing, Gerry Kich Gomolak (CHS'56), Mary Huschak LeDonne (CHS'57), Willy Valvo, Ron Ruffing (CHS'56), Blue Eyes Gambino (CHS'54). 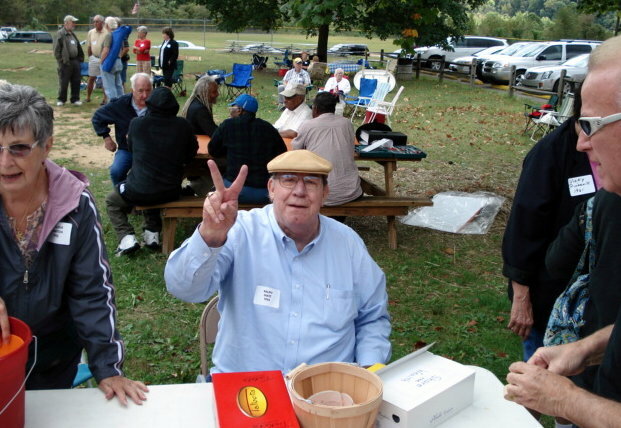 No.18, Ralph Matz (CHS'54)...taking care of the Share the Wealth station. 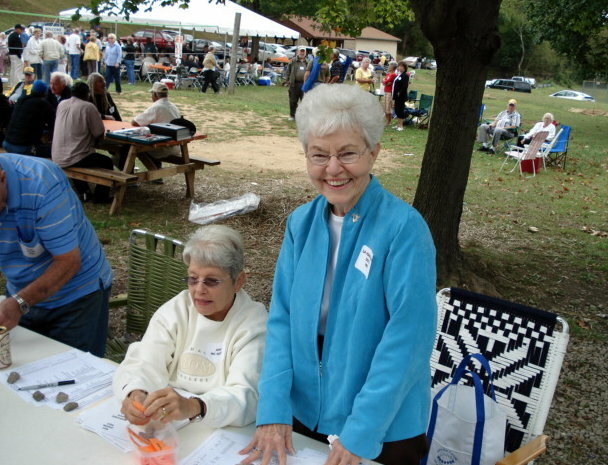 No.19, Janet McGowan, Laverne Beam Doyle (CHS'51)...behind the check-in table. 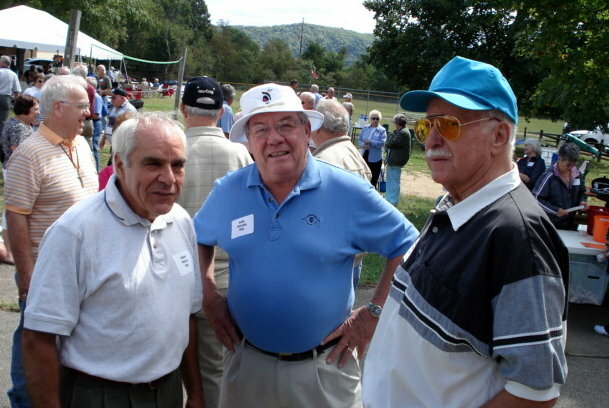 No.20, Mary Jo Billy Lazar (CHS'54), Terry Billy Soffa (CHS'56), ?, Mike Berchok.